Everyone deserves the bedroom of their dreams. A space where everything looks the way you want it to, has everything you need, and just generally makes you feel great. But often it’s a room that gets neglected when it comes to design. You might not know where to start, or may have been putting it off. Whatever the reason for leaving your bedroom till last, now’s the time to change. Whether you’re looking for tips on maximising space or style inspiration, our resources are sure to guide you in creating your beautiful bedroom. Just like any other room in your home, it’s all about creating a style that suits your personality. 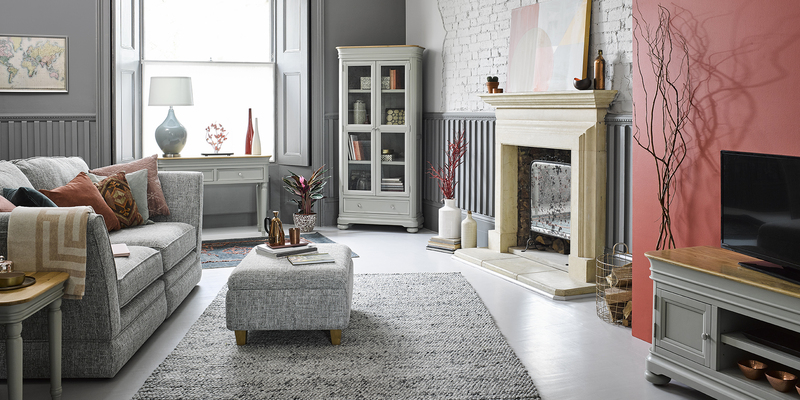 If you like the classic and timeless feel of dark wood or want to add a unique touch with painted pieces, our buying guide can help you decide what furniture to fill your room with. A striking statement in your home that will last for years to come, there’s a reason why we love hardwood furniture so much. Take a look at our Furniture Guide to find out more. Choosing new bedroom furniture is an exciting, albeit daunting experience. No one wants to go through the process of buying something new only to find it doesn’t fit. How long do the pieces need to last? Do you want matching or mixed pieces? Once you’ve got an idea of what you need you can start to shop! Did you know we spend around a third of our lives sleeping? This could mean a lot of sleepless nights if you choose the wrong bed. But it’s not all about the bed – choosing a bedside table that suits your pre and post-sleep needs, or a mattress to support your back, can be just as difficult. Make sure you purchase the right pieces with our guide to Choosing the Right Bedroom Furniture. From striking dressing tables to stylish bedside tables and more, you’re sure to find something you’ll love with our Solid Oak Bedroom Furniture. Now that you know what furniture you need and where you’re going to place it, it’s time to decide your decor style! From hotel chic to using bright colours, here’s some expert tips, guides and inspiration to help you choose. Letting the natural light shine in summer or bringing in the burnt orange knits for autumn, the change in seasons often dictate our home decor. Here are our guides to help you transition your home as stylishly as possible. Be the host with the most by providing your friends and family with a warm and welcoming room to relax and unwind in. Who needs the luxurious hotel life when you can have your own little Airbnb-esque space? Give the comforts of home by checking out our guides to creating the ideal guest bedroom. From a modern rustic look to a country cottage style, all of our bedroom ranges can help you create the style you desire. 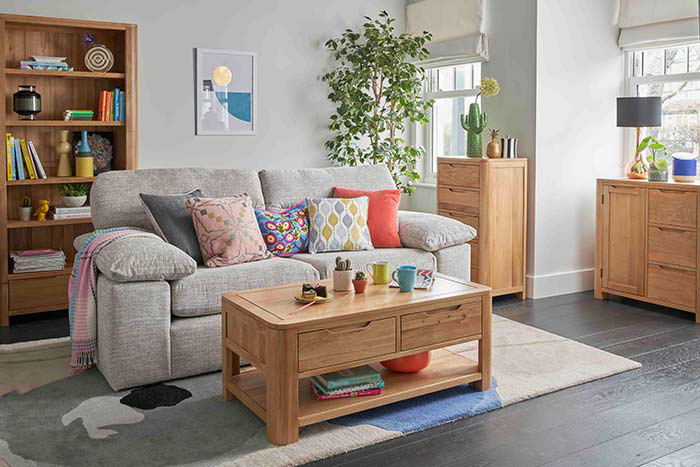 Don’t forget to show us your design using #oakfurnitureland! What’s the Difference Between a Loveseat and a Sofa?